Seven years ago, our family moved into a neighborhood that attracts busloads of trick-or-treaters every Halloween. We’ve had as many as 1000 costumed children stop by our home for candy in a single night. We see this influx as a unique opportunity for door-to-door evangelism — only instead of our going out to share the good news of the gospel with our neighbors, our neighbors come to us! 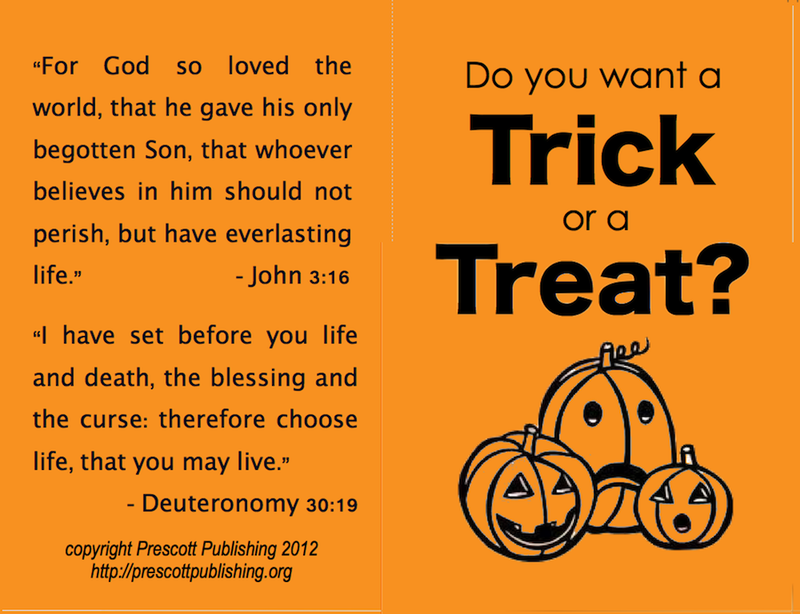 That’s why we pass out trick-or-treat tracts along with all our candy every Halloween. 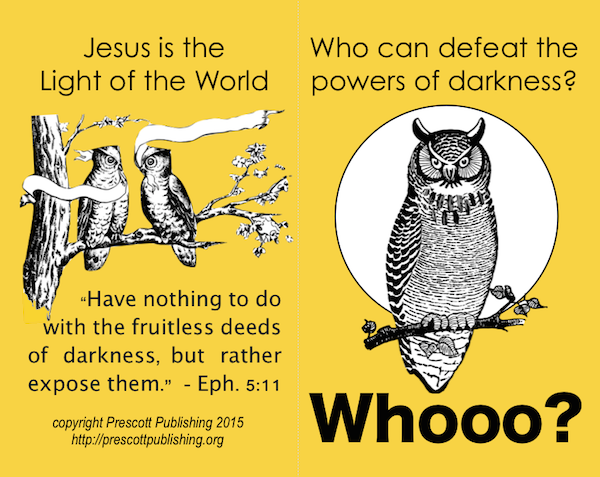 In the past, I’ve designed these tracts myself (click here to see examples), but this year, per my husband’s suggestion, we’re going to try something new. 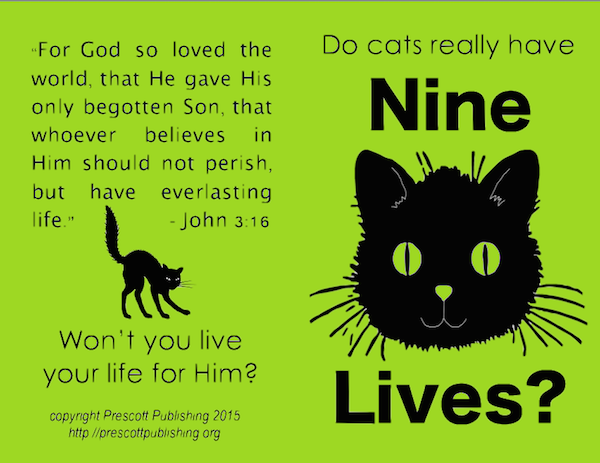 We’ve decided to let our readers come up with this year’s tract. But you’ll have to work fast! The deadline for entering is October 25. 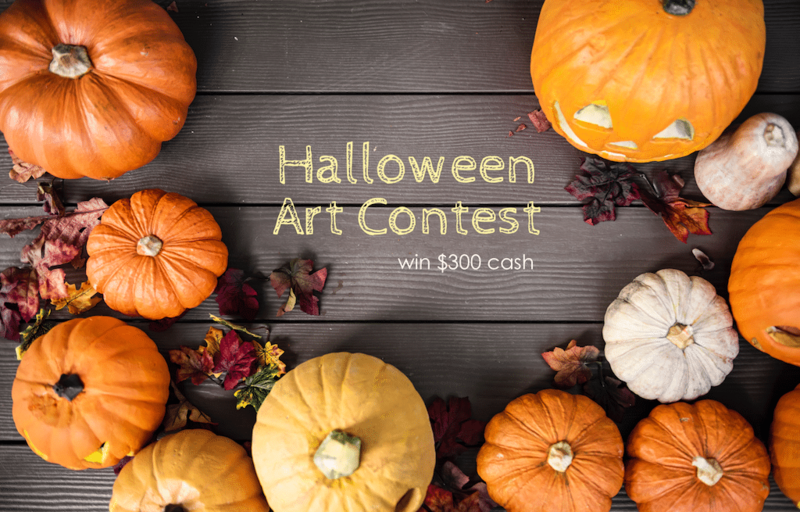 We’re planning to announce the winners and post printable versions of their designs on or before October 30 (that’ll give those who want to do so time to print a quick batch before trick-or-treaters arrive). All entries must be received by 11:59 PM on October 25. All designs must be four pages in length — no more, no less. 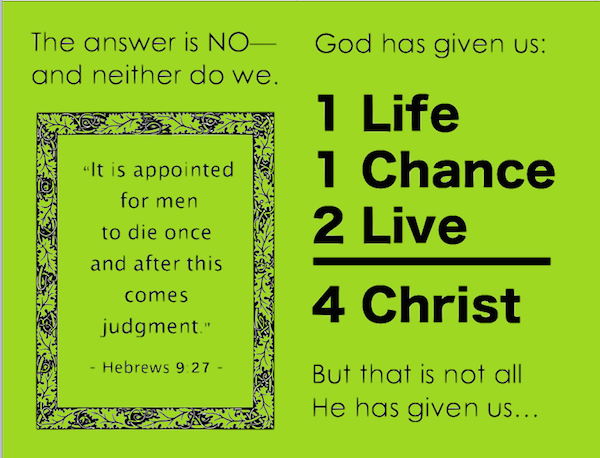 Tracts will be printed single-fold, with a front, back, and 2-page inside spread. The easiest way to do this is to fold a regular sheet of paper into fourths and draw your design by using a fourth-sheet for each page. All artwork must be original, rendered in simple, black and white ink line drawings. Colored artwork and pencil sketches will not be accepted. By submitting an entry, you grant us non-exclusive rights to publish your design as a free printable which readers can then download from our website. All entries must contain a shorter, simplified version of the gospel message below and should also include Bible verses to back up that message. (Romans 3:23) We are born with a sin nature, or a predilection for doing wrong. (Psalm 51:5) This fact is made abundantly clear in the world around us and in our own hearts. (Isaiah 53:6) Our sin separates us from God (Isaiah 59:2) and leads ultimately to both physical and spiritual death. (Matthew 10:28) Indeed, death is the guaranteed payment we earn when we choose to sin. (Romans 6:23) Of course, this part of the story is actually bad news, but we must rightly understand our desperate need to fully appreciate the good news that follows. Jesus arose from the grave. Jesus alone has the power to save. Jesus transforms those who trust in Him. Of course, the above outline is far too detailed to fit on a single-fold gospel tract, so please present the gospel in your own words, being careful to back up what you say with Scripture. 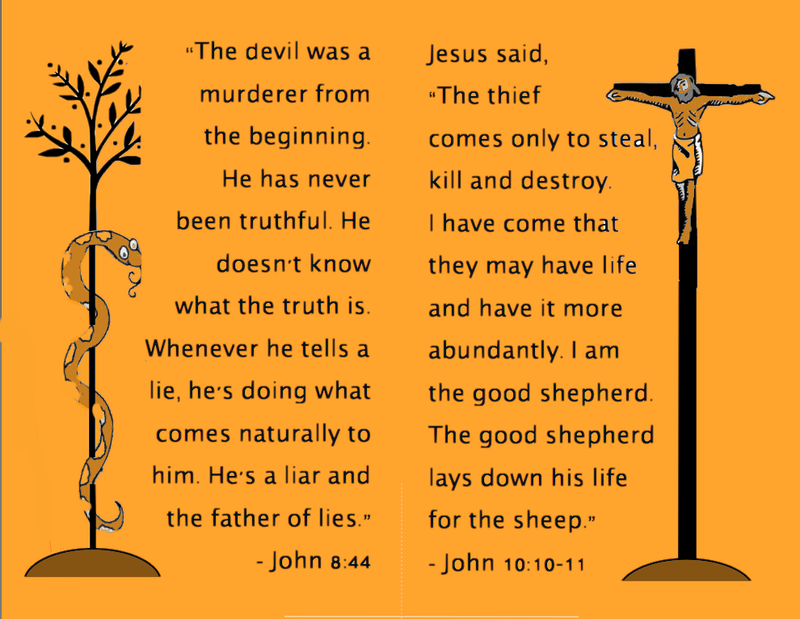 You may draw from the Bible verses listed above or use personal favorites. Please note that all supporting Scriptures must be taken from the Old and/or New Testament. No citations from Apocryphal writings, Book of Mormon, or any other religious books will be accepted. Here are a couple of the tracts I’ve designed in past years, to give you an idea of what we’re looking for in the way of length and detail. As you can see, there are lots of ways you can share the same basic message. 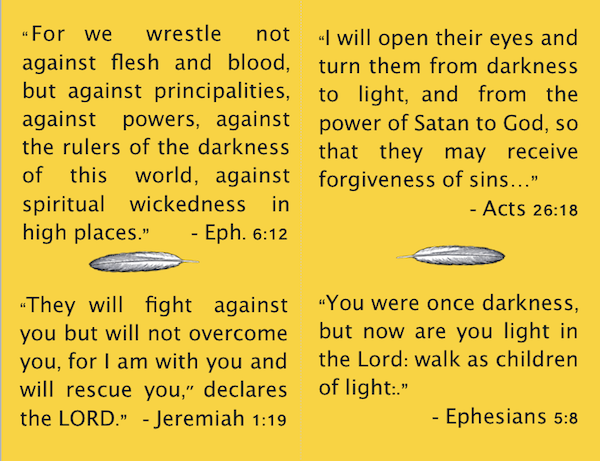 For more examples (or to print copies of the following tracts), follow this link. Please be mindful that all entries must be received by 11:59 PM on October 25, 2018. I think that about covers the rules. Have I left anything out? This is the first time we’ve tried anything like this, so I feel like I may be forgetting something. If you think of a question I haven’t answered, ask me in the comment section below, and I’ll try to respond in a timely fashion. Also, could you do me quick favor? 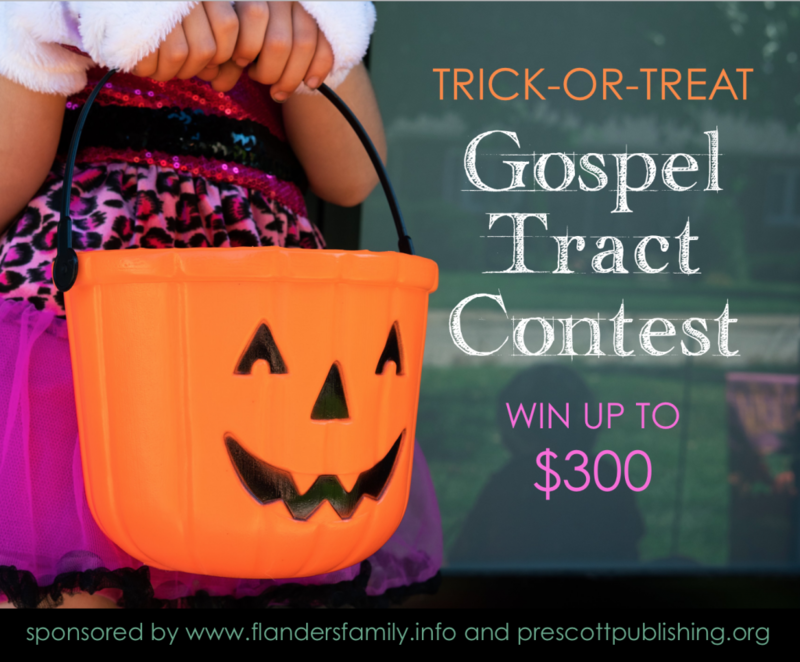 I’d absolutely love to get swamped with entries, so would you please share this contest with any family, friends, or school/church/scouting groups you think might be interested in participating? We’d be ever so grateful for your help in getting the word out!